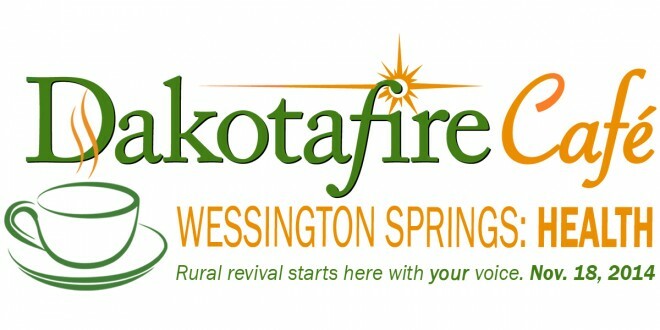 The fourth in a series of regional events intended to spark community conversations sponsored by Dakotafire Media will be from noon to 2 p.m. Tuesday, Nov. 18, at the Springs Café in Wessington Springs, S.D. It will serve as the program for the regular meeting of the Springs Area Community Club, and the public is welcome to attend. The event, called a Dakotafire Café, intends to get people talking about the topics presented in the latest issue of Dakotafire magazine, according to Publisher and Editor Heidi Marttila-Losure. Dakotafire magazine reaches about 13,000 households in the eastern Dakotas, mostly through insertion in weekly newspapers. Many of those newspapers partner in the production of content for the magazine, which has a goal of “sparking a revival in rural communities of the Dakotas and beyond by encouraging conversations that help rural residents rethink what’s happening and what’s possible,” according to Marttila-Losure. The main story in the November/December issue is “Tomorrow’s health care: Seven ways rural health care is changing.” Several people from Wessington Springs are featured. This one issue of Dakotafire will be inserted into the True Dakotan on Nov. 11. The format of the event will include the regular introductory program of the Springs Area Community Club, then a buffet lunch (the cost is $9), and then short presentations from one or two speakers who served as sources for some of the content in the magazine. One speaker will be Dr. Tom Dean, who is employed by Horizon Health Care with privileges at Avera Weskota Memorial Hospital in Wessington Springs. He has practiced family medicine since 1978. A second speaker has yet to be confirmed. That presentation will be followed by conversations in small groups, and finally some sharing of insights from those conversations with the larger group. Joe Bartmann, process host and community coach with Rural Weaver LLC of Montrose, S.D., will serve as a facilitator for the process. The event begins at noon and will go until 2 p.m. The Springs Area Community Club meetings normally only take an hour, but for this one session, attendees are asked to make an effort to stay for the whole two-hour process. A story about the event will appear in the next issue of Dakotafire. The conversation can also continue at www.dakotafirecafe.com, which has a link to an online forum space. See videos of previous Dakotafire Cafés here.